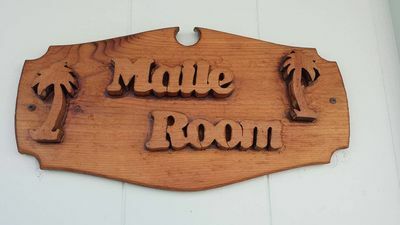 Welcome to our Vacation Home at Sunset Beach! 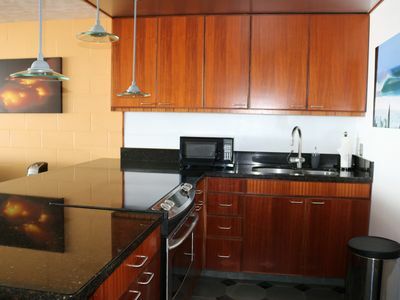 A charming 3 bedroom 2 bath home upstairs plus a studio and bath unit downstairs. 1 house back from the beach. 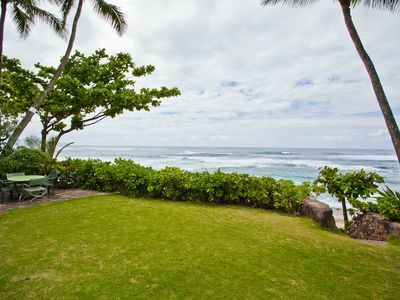 Located in the heart of Oahu's North Shore. 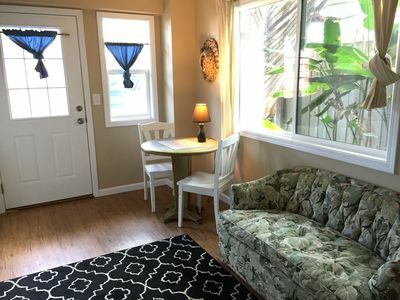 Our fully furnished North Shore Oahu Vacation Rental is a 3 bedroom/2 Bath sleeping 6 people + Studio sleeping 2. 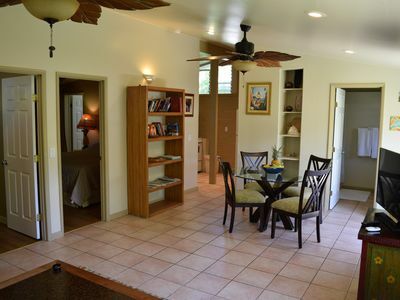 Includes kitchen, living area, lanai w/large screen TV & DVD. 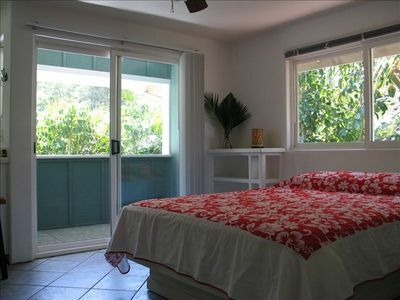 Sleep arrangements: King bed, Queen bed, 2 single beds with another Queen bed in the studio - $350/night. 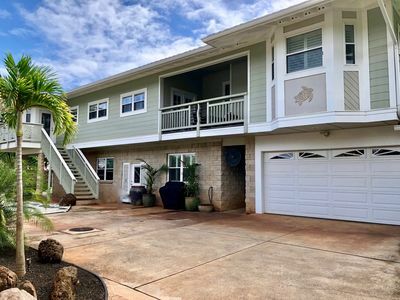 Our home is minutes from world famous Sunset Beach, Pipeline, Sharks Cove & Waimea Bay, walking distance to hot spot, Teds Bakery and a short drive to many other wonderful restaurants. 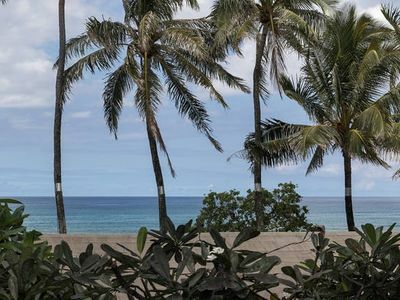 We're 20 minutes from the Polynesian Cultural Center, 5 minutes from Turtle Bay Golf and Tennis Resort, and 45 minutes from Honolulu International Airport. 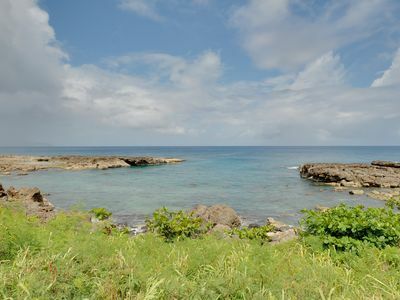 Great snorkeling can be found in the backyard! Hiking trails into the hills of beautiful Waimea Valley & Falls are only minutes away. 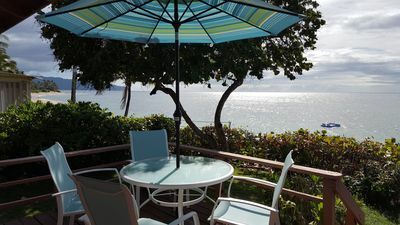 Enjoy meals outside on the ocean view, screened in lanai and sleep to the sound of rolling ocean waves. Every Winter/Spring watch the humpback whales as they come to the warm waters of Hawaii to breed, give birth, and care for their young. Bike Path starts here. Perfect for biking or jogging. Super Safe for Kids. Completely gated property. 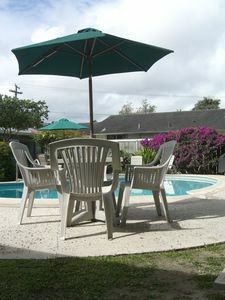 This neighborhood is very Quiet and Family Oriented so guests must be Respectful and Quiet as well. This is not a place for large gatherings. We do have great breezes through the house so we do not have a need for AC. 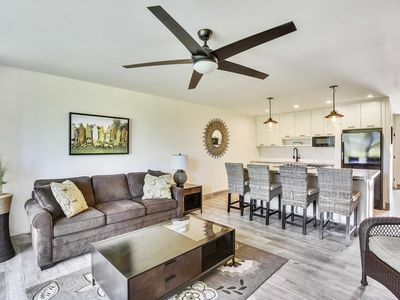 Every room does have a fan. We do have a resident care taker on the property however our number 1 priority is to respect our guests and their space and privacy. 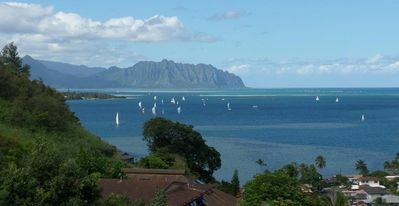 Come and experience true Hawaii on Oahu’s Beautiful North Shore, the quieter side of the island. 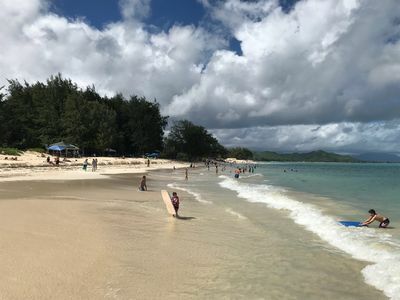 Miles of white sandy beaches, beautiful sunsets daily, relax Hawaiian Style, enjoy hiking, golf, great restaurants and scenery. 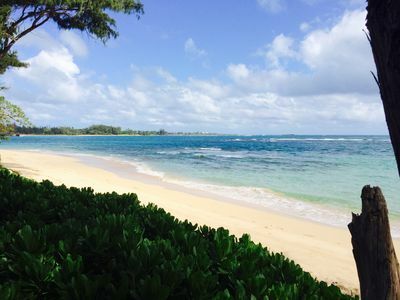 Find you own private beach, swim, snorkel, surf, laugh, live. Welcome to Hawaii, We hope you enjoy your stay! 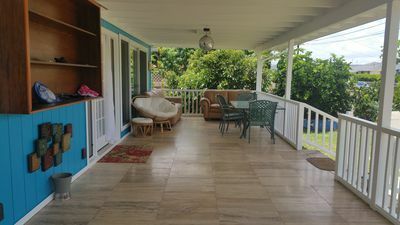 Keywords: Beach Home, Studio, Beach House, Ocean Views, Sunset Beach, Family Home, vacation Rental, North Shore Oahu, Pipeline, Haleiwa, Turtle Bay, North Shore. 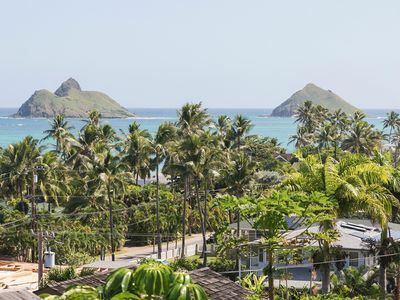 Lanikai Hillside Cozy Cottage with Spectacular Ocean View with Mokulua Islands. 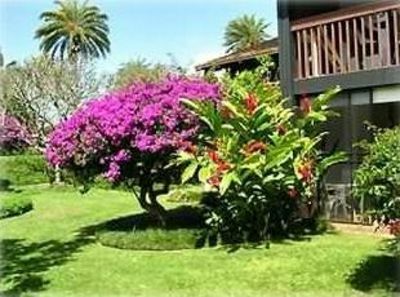 Bare Feet Retreat at Sunset Beach-- come relax with us! BEACH FRONT! 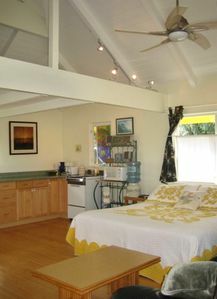 Cool Hawaiian Style Beach Bungalow, Everyday low rates! Welcome to Hula Heaven ! 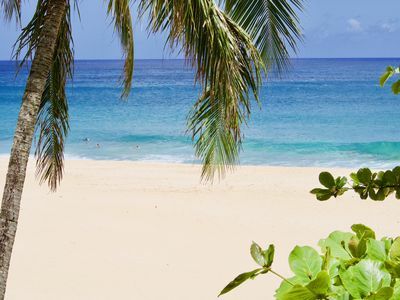 North Shore , Oahu! 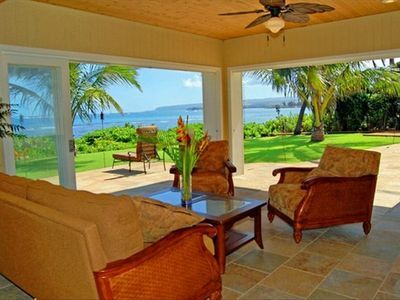 Spacious 3 Bedroom 2 Bathroom Luxury Estate, Across The Street From The Beach.